As we take a walk down memory lane, this video, courtesy of the NFL, is one for every Cowboy fan to enjoy. These are all of the official passing touchdowns from Tony to Dez! How can you pass up watching these 50 gems? 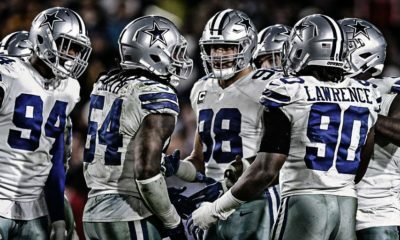 Unquestionably you’ll see some great throws, a little Romo magic, but the guy on the other end, #88, Dez Bryant is worth the price of admission. Simple to say, just enjoy these …… Yeah, I know, we all wish there was one more from this duo in 2015 up in Green Bay! 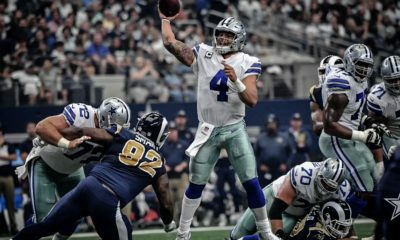 This story by Dan Hanzus, recaps the Denver game where Romo throws for 506 yards and 5 TD’s on just 36 passes with a QBR of 140. Certainly, one of his best games, firing darts all over the yard. It was a track meet out there. For 58 minutes, he was perfect and yet the game was never in control. It epitomized how dreadful the Cowboys defense was during Romo’s career. Tyrun stepped on his foot as he was throwing and bam, the air was let out of the stadium. Amazing that 48 points just weren’t enough. All people wanted to talk about was the INT, while I wanted to find out where the defense went? That was just how things went during the Romo era. Moments of greatness or moments of despair! He gave the fans hope when the teams weren’t good. Tony, somehow would get them to the week 17 game, which would be a win and you’re in the playoffs scenario. It tortured fans for years to be so close to the playoffs or squeeze in and get blown away in the first round. 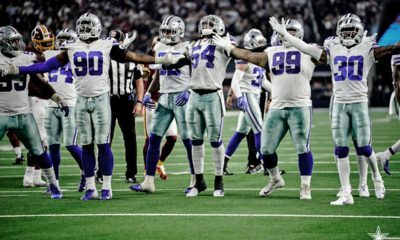 A good read from Hanzus on that game and the tough moments you felt as a fan. At home vs. an all-time great. The following videos are from the Dallas Cowboys website and part of a series called Deep Blue. This was a very interesting story that unfolded following the retirement of Troy, the selection of Quincy Carter and that undrafted free agent from Eastern Illinois. 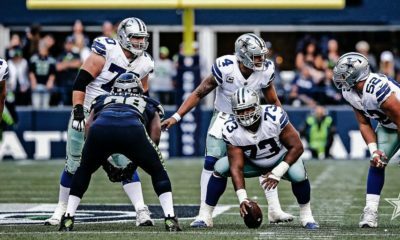 It’s a two part story that lays out how the whole scenario that led to Romo making the team and eventually becoming the starter in 2006. Its a pretty amazing story and really more complete than the story we’ve always read. Plenty of interviews by those in the thick of the story. You’ll also get an appreciation for how Tony approached being a professional and QB for your team. Look back on how @TonyRomo's journey as a Cowboys' quarterback began.